Hello and welcome to OzarkTroutRunners.com, your one stop source for booking the perfect trout fishing guide trip. Please sit back, relax, and browse our selection of Browns, Rainbows, and even Alaskan Salmon. If you would like help in planning your next guided fishing trip, don’t hesitate to contact me at Doty@OzarkTroutRunners.com. I’d be glad to help you with any questions you may have. Hope to see you in Alaska this summer or in Missouri at Lake Taneycomo in the fall for the Brown Run! Let me book your trip today. Book Your Trip Today! Lake Taneycomo’s clear cold waters provide some of the finest trout fishing available anywhere in the world. 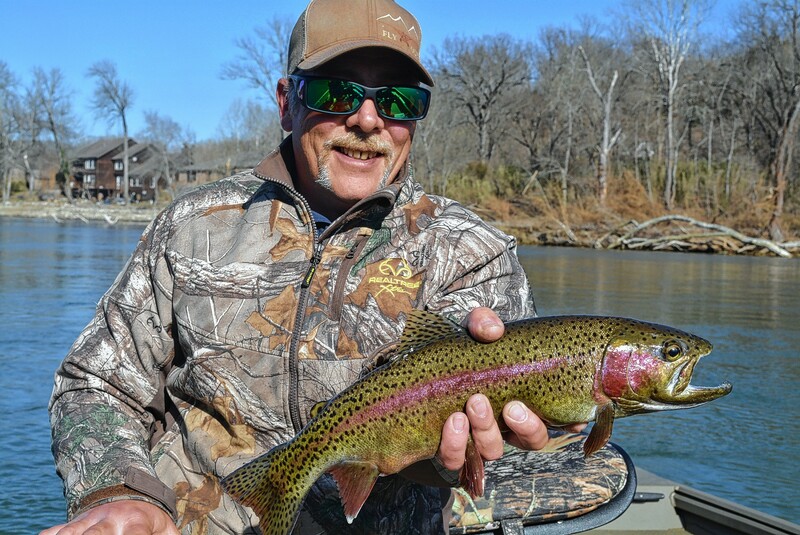 The Rainbow Trout and Brown Trout that ply the waters of Lake Taneycomo provide an exciting, year-round fishing experience.